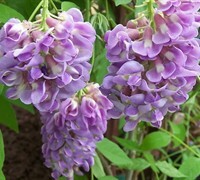 ToGoGarden.com offers a huge selection of flowering vine plants that have a long bloom season. Use these climbing vines to add vibrant color to your landscape and to cover arbors, fences, pergolas, mailboxes, poles, rails and many other structures. Buy long blooming climbing vine plants from ToGoGarden.com and well ship high quality, container-grown, fully rooted, straight from the grower plants to your front door that are ready to plant and augment.